*Anzeige/ Ad: I am sure that you already saw in my Instagram-Stories, that I am collaborating with BABOR. Now I am happy to introduce you to my limited edition ampoule „Beauty Rescue“, that will be available from now on. When there is one beauty brand that stands for tradition and knowledge, my first thought is BABOR. First of all, the headquarter is in my hometown Aachen and therefore I know the brands since I was little child. 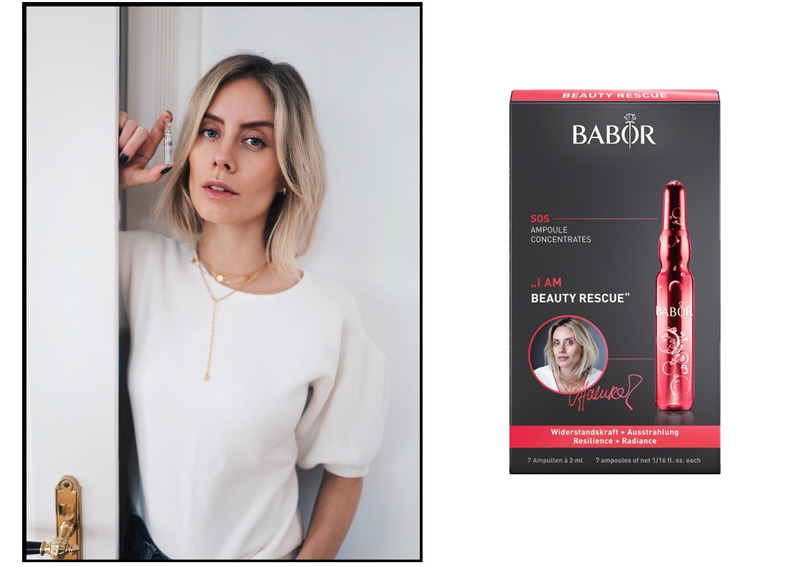 But second, it´s because I am now using BABOR products for such a long time and I am really happy about the results and how my skin has improved. It´s so important to understand the needs of your skin, to provide the best protection against environmental influences. Especially when you´re at my age and slowly start to prevent premature skin aging. You can find a summary of my favorite beauty products for sensitive skin are here. As you may know I am traveling a lot lately, I really love this part of being a fashion blogger. 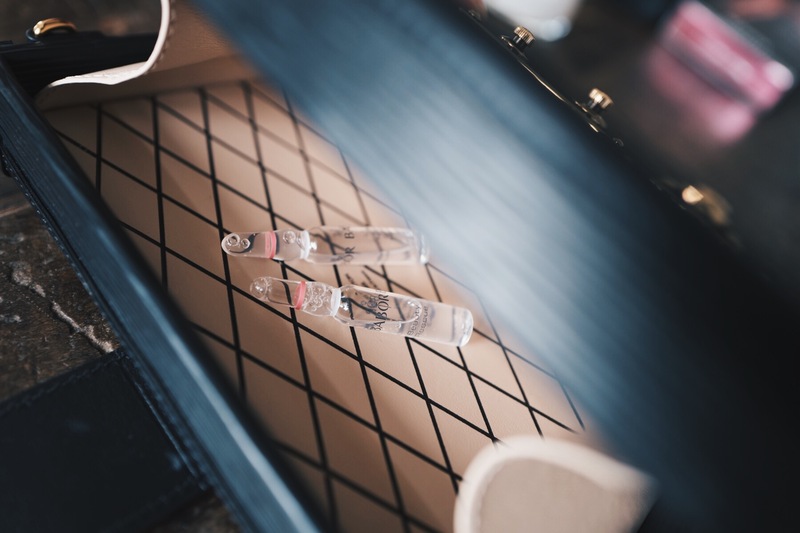 And especially now, as I am constantly traveling around different weather situations and spending a lot of time in airplanes, my skin is confronted with different climates and therefore a lot of changes. My beauty routine is especially composed to balance these changes. But of course there are some days, when I am super stressed and my skin feels dry and pale. 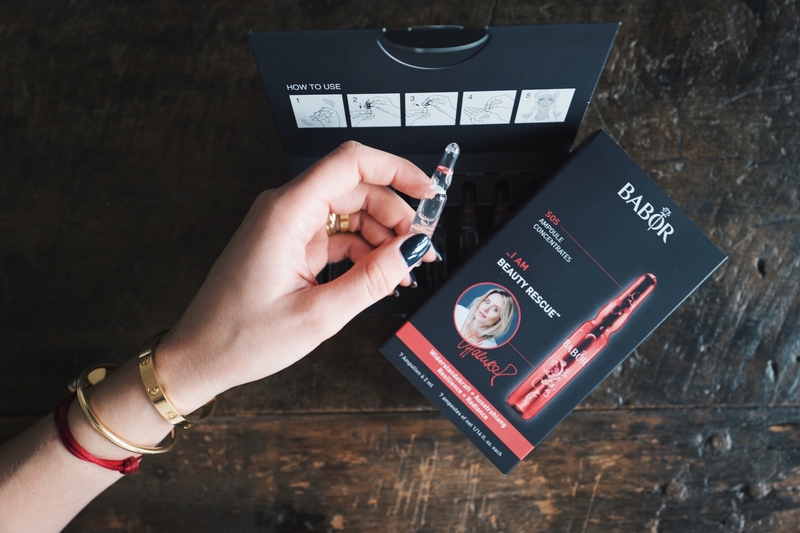 My little secret weapons are the ampoules by BABOR. 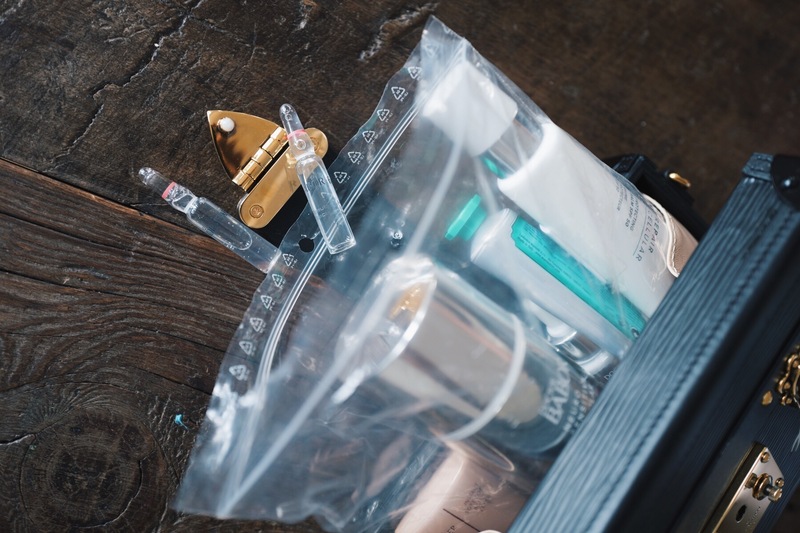 They fit in all my tiny bags, are easy to carry and use wherever you are. Therefore I am super proud to present you the limited edition ampoule „Beauty Rescue“ that I created together with BABOR. Smooth evenly over the face, neck and décolleté, pat gently into the skin before applying a moisturizing cream.